There are many routes through which the Trust manages inbound and outbound communications. All media communications, press releases and general information is co-ordinated by the Trust Communications department. In the first instance, all general media and communication email enquiries should be directed to communications@heartofengland.nhs.uk. Media can also contact the press office team on 0121 371 7903. For all out of hours media enquiries please call 0121 424 2000 and ask for the on-call communications manager who will call you back. We endeavour to keep this website information as relevant, current and as specific as possible with daily updates where required. If there is anything you would like to see added to the site, or if there is any specific information you would like that is presently not on the site, please don’t hesitate to send a suggestion or a request by email. Click the link to send an email to communications@heartofengland.nhs.uk. We act on all correspondence and where possible we will try to meet your suggestions and requests. 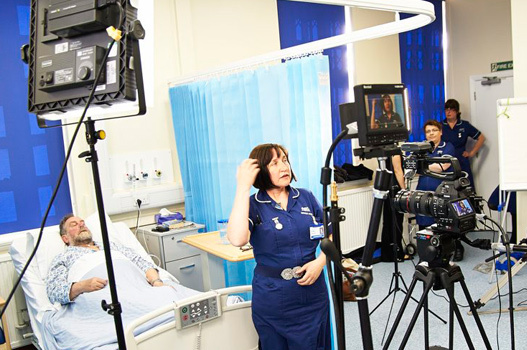 Why not follow University Hospitals Birmingham NHS Foundation Trust on Twitter today?